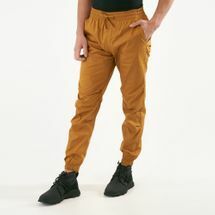 When looking for are pair of casual pants to suit your everyday needs and style, look no further the Sun & Sand Sports edit of men’s casual pants and chinos. Explore a collection of casual khakis and ladies black pants to finish off a relaxed, laid-back look. We offer filters according to designs and trends so you can find all the casual pants that appeal to you. Browse through the selection from your laptop screen or mobile phones and start your online shopping journey with us today. From soft, jersey-knit casual pants in classic white to black, ladies black pants, khaki chino pants, you can find styles catering to men with the colour and silhouette that fits your wardrobe and design preference. Find a style to suit your shape and size and with our selection from top brands, your favourite style is just a click away. Match your personal style with trendy pair of casual khaki chino pants or ladies black pants for effortless style that will up your street style game. 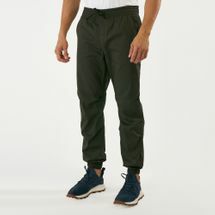 Offered in a variety of lightweight fabric and silhouettes like slim fit, tapered and wide-leg, our selection of men’s casual pants will keep you at your best. With online shopping showing stronger due to tech-savvy customers, we provide a seamless shopping experience along with delivery straight to your doorstep whether you are in Riyadh Jeddah or anywhere in Saudi Arabia. To stay updated with the latest in trends and sports fashion, subscribe to our official blog or sign up to our daily newsletter to stay informed on all new arrivals, promotions and trends. Lead a trendy and sporty lifestyle only with Sun & Sand Sports.